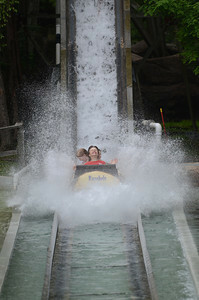 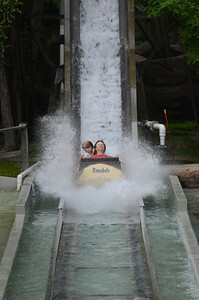 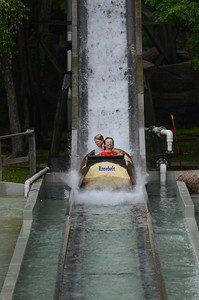 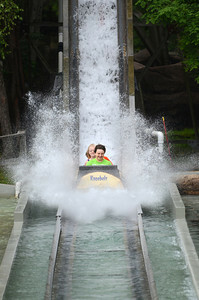 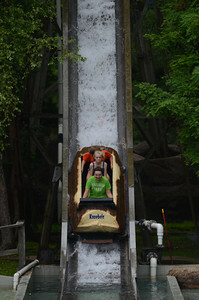 Brooke Remick, 13, left, Lock Haven, and Brad Strouse, 15, Lock Haven, get a little wet on a ride at Koebels in Elysburg on Tuesday morning. 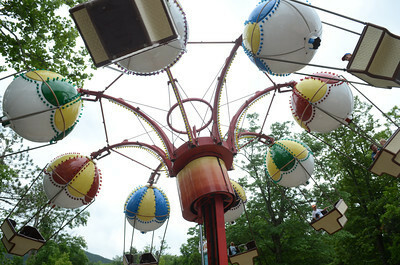 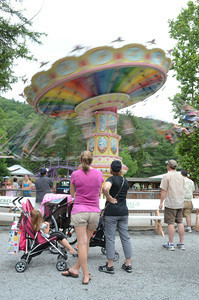 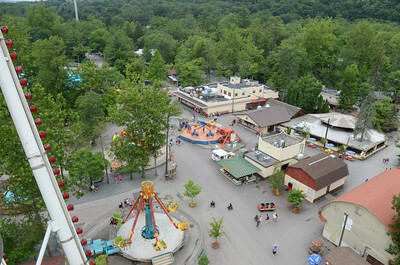 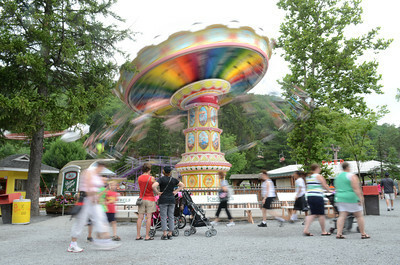 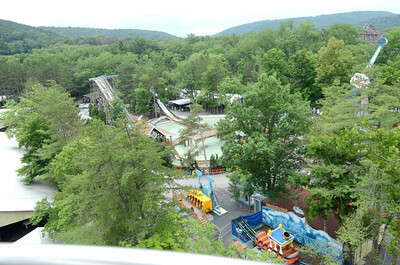 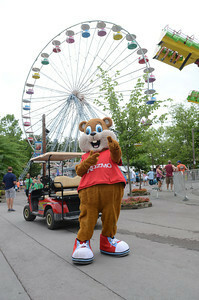 A ride whirls around at Knoebels as patrons walk past on Tuesday morning at the park. 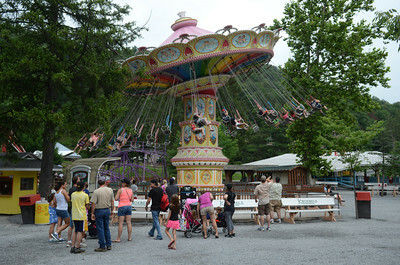 Knoebels in Elysburg was named the number 2 amusement park in the United States recently by the Travel Channel. 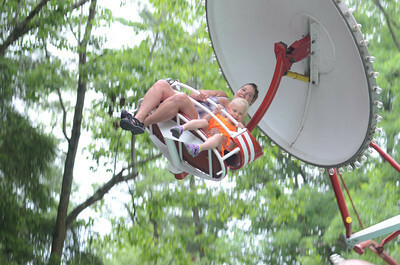 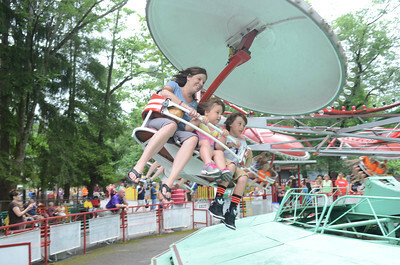 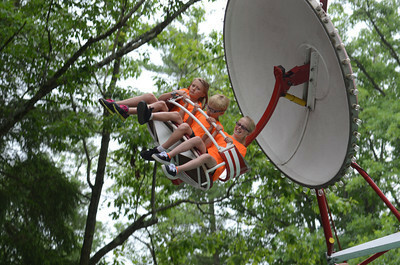 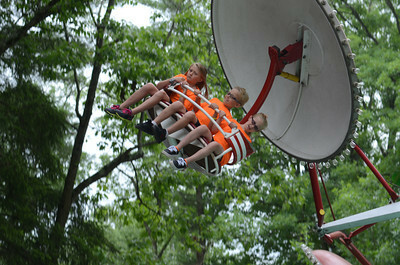 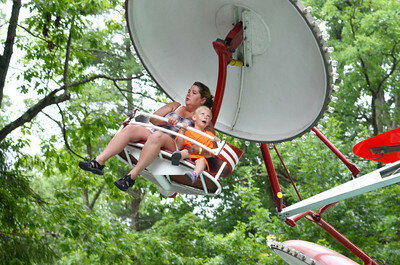 Brittany Stanger, left, Idaho, and Ella Hunter, 5, Idaho, enjoy the Parachutte ride at Knoebels on Tuesday morning. 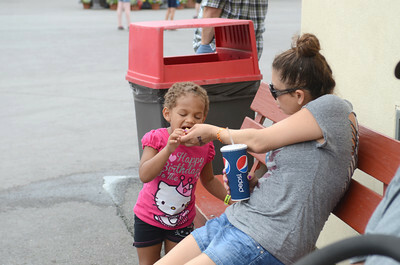 Asia Odenat, 3, left, gets a french fry from Natalie Edwards, Arizona, on Tuesday at Knoebels in Elysburg. 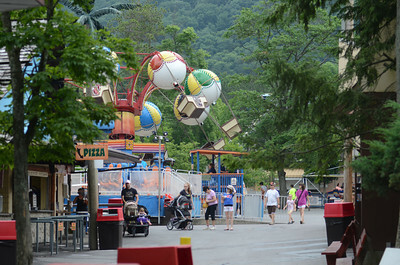 Knoebels in Elysburg was named the number 2 amusement park in the United States recently.